Italian Talmudist of the sixteenth century. He was the author of "Be'er Mayim Ḥayyim" (Corfu, 1599), on Talmudic and other subjects, and "Ereẓ Ḥefeẓ." (n.d.), on Biblical and Talmudic subjects. 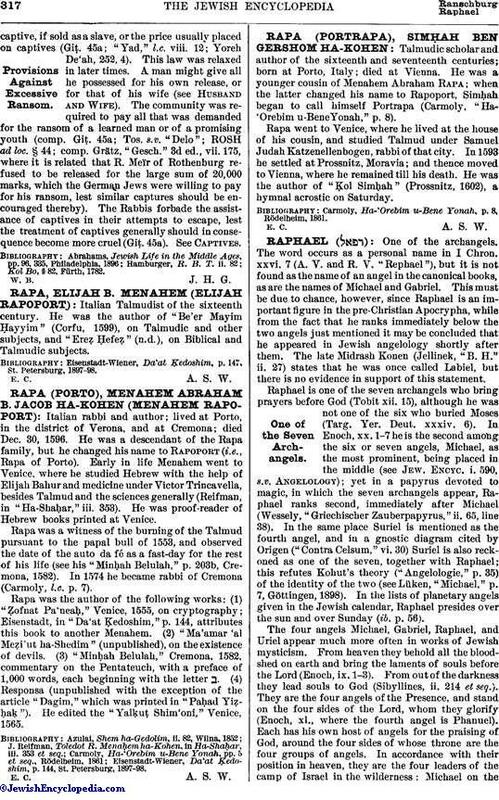 Eisenstadt-Wiener, Da'at Ḳedoshim, p. 147, St. Petersburg, 1897-98.